^ Horrox, Rosemary. 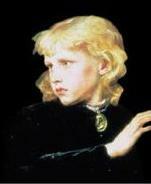 "Edward V of England". Oxford Dictionary of National Biography. Oxford University Press. Retrieved 25 August 2013. ^ 1.Chapter Records XXIII to XXVI, The Chapter Library, St. George's Chapel, Windsor (Permission required) 2.William St. John Hope: "Windsor Castle: An Architectural History", pages 418-419. (1913). 3.Vetusta Monumenta, Volume III, page 4 (1789). Weir, Alison (1995). The Princes in the Tower. Ballantine Books.. ISBN 0-345-39178-0.